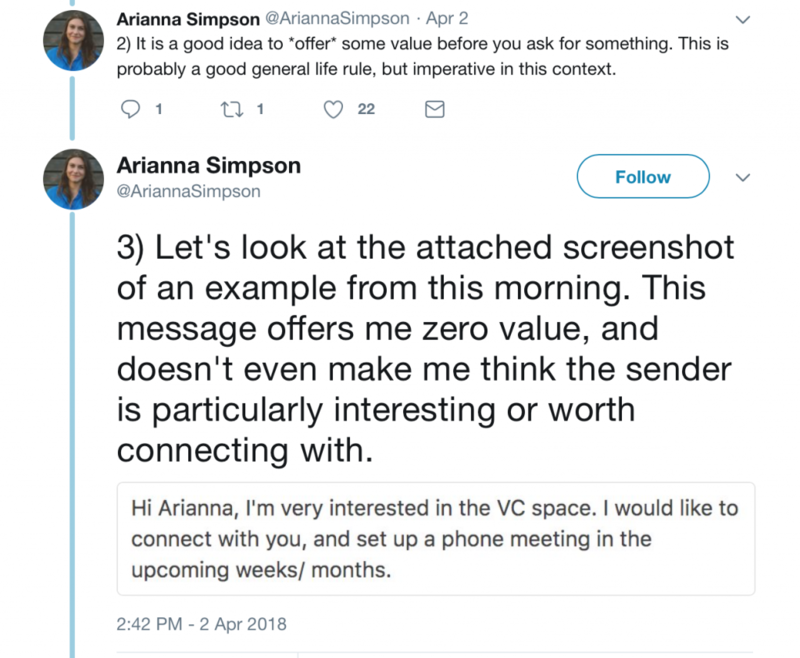 A few weeks ago, I asked my email list subscribers to send me cold emails and I would tear them down, give them feedback, and propose alternate cold emails they could send. I was shocked by their enthusiasm. One of my favorite examples was a reader who is building out his portfolio for a new marketing business. He's just at the stage of building out his business, so he needs to add examples to his portfolio before he can ask more from larger clients. Essentially, he's cresting the curve between one-off projects and a freelance business. Next, he'll crest the curve between a freelance business and a consultancy. It's a travesty that effective business development is not taught in business schools. Going to networking events is usually a waste of time. Posting about your business on social media usually just gets you unfollowed. And blasting out the same email to every single business person you know is not going to get you replies. In his case, he's still building out an impressive portfolio, so he can work for free with a handful of great clients now and charge more later. Here's the email he sent out to the owners of a prominent blog featuring digital nomads who like food. The sender told me that he knew it was being opened, but he had yet to get a reply. What's your first reaction to this? Mine is holy crap, I had to zoom out literally twice just to capture the whole email in a screenshot. In other words, it's long. There are varying degrees of long. There's the entire-email-is-one-long-run-on-sentence-or-paragraph long, which is terrible and you should absolutely avoid at all costs (your reader doesn't care about your backstory. They care about what you can do for them.). Then there's long-but-full-of-good-info. That's what this is and that style is especially dangerous for the sender. Why? Because it tricks you into thinking you can justify the email being long. "Sure, it's long, but it has to be for me to show them how much I can do for them!" Most busy people, when they get an email, will quickly glance at how long it is before deciding whether or not they want to read on. Even (especially) if it is full of good info, they'll tell themselves "I'll get to that when I get time." By definition, as a busy person, they never get time. The other thing that stuck out to me is that the really juicy part of this email for the website owner, that the sender will work for free and remotely, is buried deep towards the end. As a website owner, if a competent person wants to work for me for free, I want that at the beginning of the email so that I keep reading. By no means is this a terrible email. He establishes rapport early on by saying that he's also a traveler, he takes responsibility by telling them what he can do for them, and the email is relevant to them as blog owners. But the fact that he said he was getting opens but no replies tells me that somebody saw the email, thought to themselves, "wow, this looks like a hefty email, I'll get to this when I get time," and put it low on the to-do list. 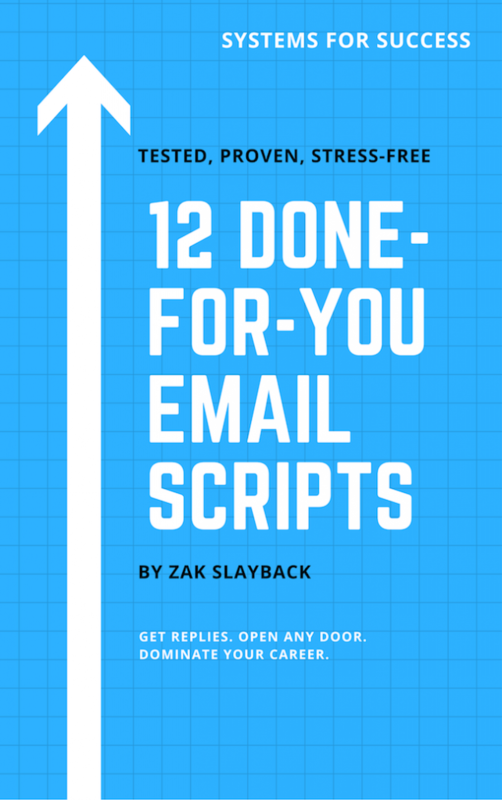 Even though he isn't interviewing for a full-time position, I encouraged him to use the script in 12 Done-For-You Email Scripts (which you can get on this page) for getting an interview even if the company isn't hiring. This script is designed to give value to Very Busy People, signal to them that you won't waste their time, and get them on the phone as quickly as possible. My name is [NAME] and I've been reading your blog for a few years. I absolutely love what you're doing with [BLOG. Anytime I have traveled, the two commonalities between the best moments were always interacting with locals and eating great food; I love that you have combined them. 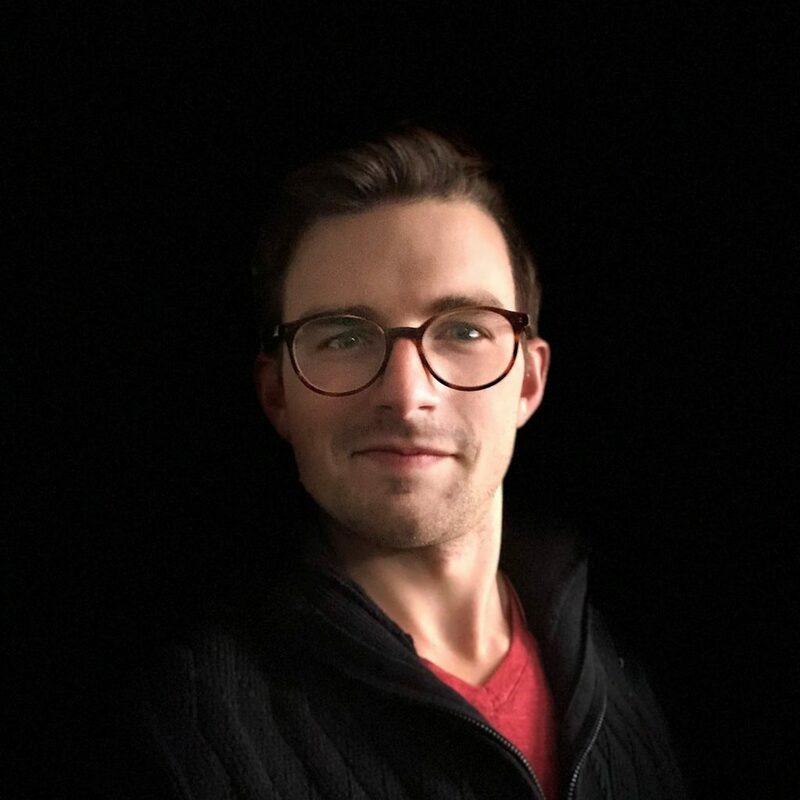 I'm reaching out because I am a digital marketer looking to grow his portfolio of work and I'd love to work with you on growing [BLOG] -- for free for the opportunity to feature my work. I noticed you don't have a lead capture on your site with a lead magnet. I put together a short proposal for how I'd develop a lead magnet with you and grow your email list. That's attached. I'd like to get on the phone for no more than 20 minutes next week if something like this interests you. Like I said, I'd like to do this for free to learn and grow my portfolio. I have a few other ideas I'd be happy to discuss, too. Do you have time next Monday or Tuesday afternoons? If this doesn't interest you - no worries and please feel free to implement the attached proposal as you see fit! What do you notice about this email versus the previous one? First, it's short. This is something that is easy to reply to, easy to see the ask, and easy to see the value-add. Second, it makes a clear and definite ask. There are few things worse than, "Let me know when you have time." These people never "have time." Their to-do lists are longer than CVS receipts. Ask for a specific window of time to get on the phone and make it very clear that you are not asking for an hour-long call. This is not just easy to reply to but it also signals that you respect their time. Third, it gives without demanding. His previous email didn't really demand much, but you want to give to your reader before you ask for their valuable time. In his case, he gives a lead magnet to help them grow their email list and even lets them know that it's no big deal if they don't want to talk to him. Did the new email work? Less than 12 hours later, he got a reply from the blog owner. That's the power of a well-written cold email. If you're not already on my email list and have received a copy of my scripts, go ahead and get them below or on the sidebar. If you are, tweet at me what you've learned about using email to advance your career. I'm @zslayback.